Lautaro Acosta will have to be in attack mode in order for Lanus to rally in the second leg of the Copa Libertadores final. 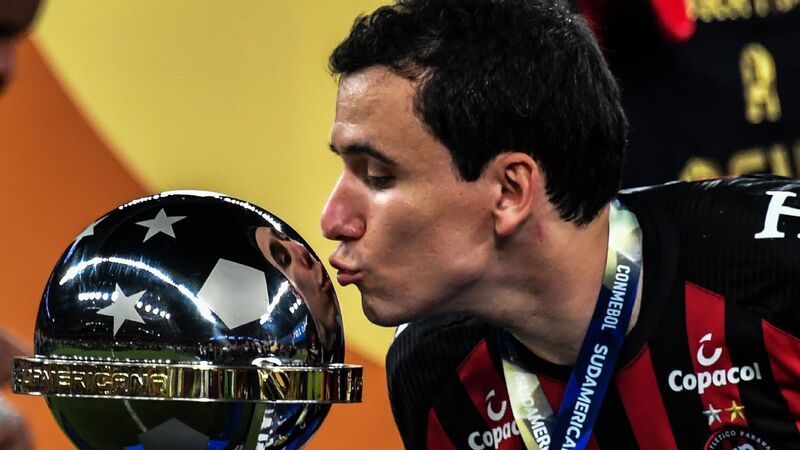 On Wednesday night, either Gremio of Brazil will become South American champions -- or Lanus of Argentina, the self-styled "biggest neighbourhood club in the world," will win their first Copa Libertadores title. The teams meet for the second leg of the final in the compact stadium of Lanus, a southern suburb of Buenos Aires. Gremio's new stadium was a more impressive venue for last week's first match. Gremio are the bigger club, with more tradition. They travel as favourites. They won more games than Lanus on the way to the final, scoring more goals and conceding fewer. And they hold a 1-0 advantage from last week. Lanus, though, have passed this way before. The first leg of the final was the third consecutive time they were beaten away from home without scoring -- both times against former champions. 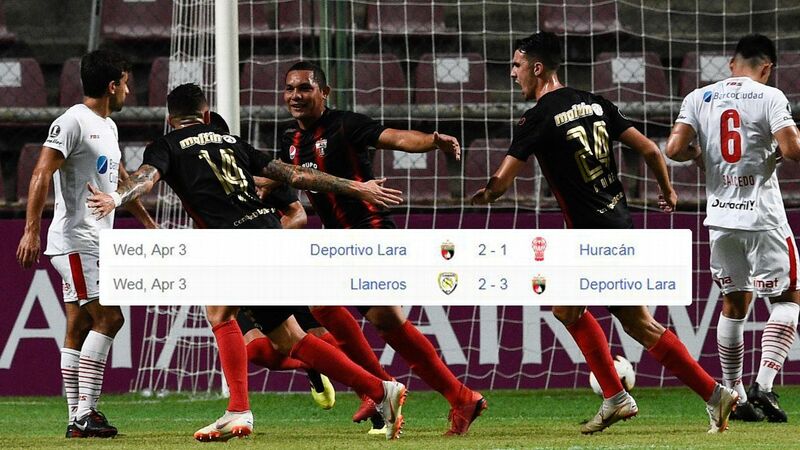 In the quarterfinals they went down 2-0 away to compatriots San Lorenzo, but fought back in front of their own fans to win through on a penalty shootout. And then in the semifinals, they pulled off an epic comeback against their giant neighbours River Plate. They lost the first leg by the only goal, and were two down at home -- needing to score four times in just over 45 minutes to reach their first final. 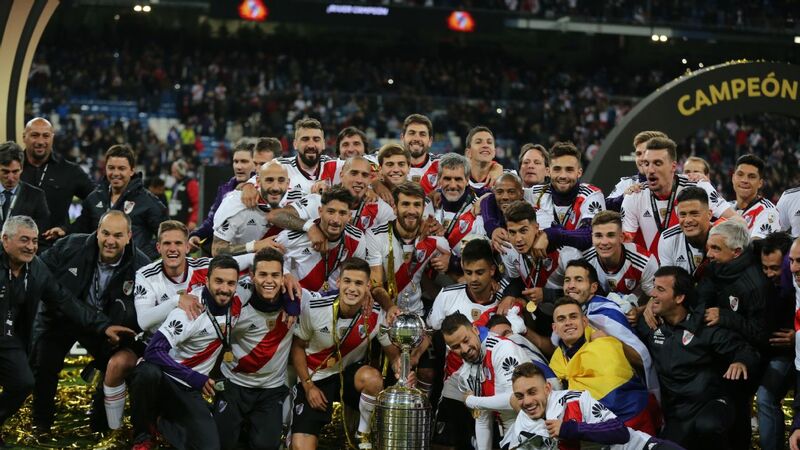 They got them all -- and, they argue, what they can do against River Plate they can repeat against Gremio. In one sense their situation is more healthy than after the first leg of the semifinal. In the decider, the away-goals rule is not in operation. If Gremio score once, Lanus will not need three. A single-goal victory for the Argentines will send the match into extra time, with a penalty shootout following if scores remain level. 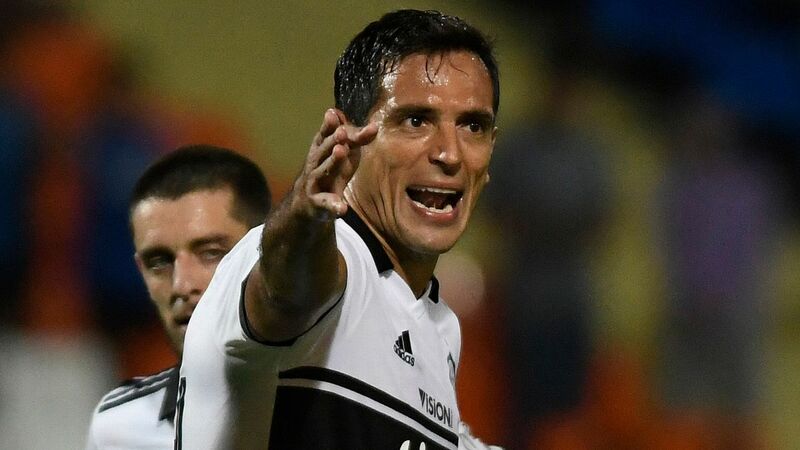 It gives Lanus more leeway to push forward -- though coach Jorge Almiron is stressing the need for patience and calm intelligence in the biggest game of the club's history. The key to the game plan of Lanus is the positioning of their pair of wingers, Alejandro Silva and Lautaro Acosta. In the recent away matches, the side's lack of goals is easily explained. 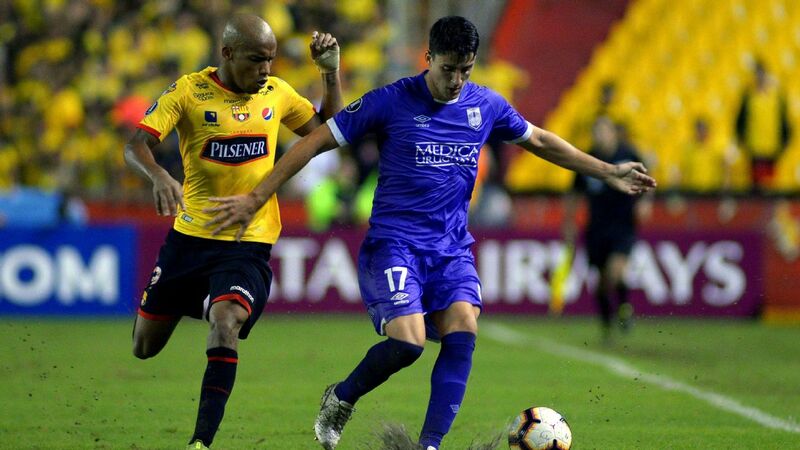 Silva and Acosta have dropped deep, forming part of the midfield block. Last week they were especially concerned with blocking the forward runs of the Gremio fullbacks. When this happens, a theoretical 4-3-3 formation turns into a 4-5-1, and Jose Sand, a veteran centre-forward without a great deal of pace, is left isolated. At some point in the second leg, Lanus will have to take more risks -- and therein lies the fascination of the game. Can they get at the Gremio defence? The visitor's centre-back partnership has been disrupted. Walter Kannemann, a gutsy Argentine who has brought rugged steel to the back-line, was very unlucky to pick up a yellow card last week, which keeps him out of the second leg. Bressan, in whom the Gremio fans have limited trust, is the likely replacement. With back line star Walter Kannemann out for Wednesday's match, pressure will be on goalkeeper Marcelo Grohe to step up for Gremio. After last week's match, Gremio did plenty of complaining about the refereeing. They seemed hard done by with the Kannemann decision -- and they had a very strong claim for a penalty turned down right at the end. On the other hand, they were very fortunate not to lose the services of their senior centre-back, Pedro Geromel, who escaped punishment for an over the top tackle which many thought worthy of a red card. Since returning from an injury lay off, Geromel has not been as masterful as he was earlier in the season. Without Kannemann alongside him, Geromel will be tested and much may depend on his capacity to organise the defence. At the other end, Lanus also have a centre-back suspended. Diego Braghieri misses the second leg. The team lack defensive pace, and with Silva and Acosta further upfield, Gremio hope to find enough space to exploit the weakness. Gremio typically play a passing game, in which young midfielder Arthur and intelligent support striker Luan are the key figures. But coach Renato Portaluppi is also having an impressive campaign. Last week, seeing that his side's attempts to pass their way through the defence were being blocked, he was bold enough to switch tacks. He used all of his substitutions early and launched an aerial assault. 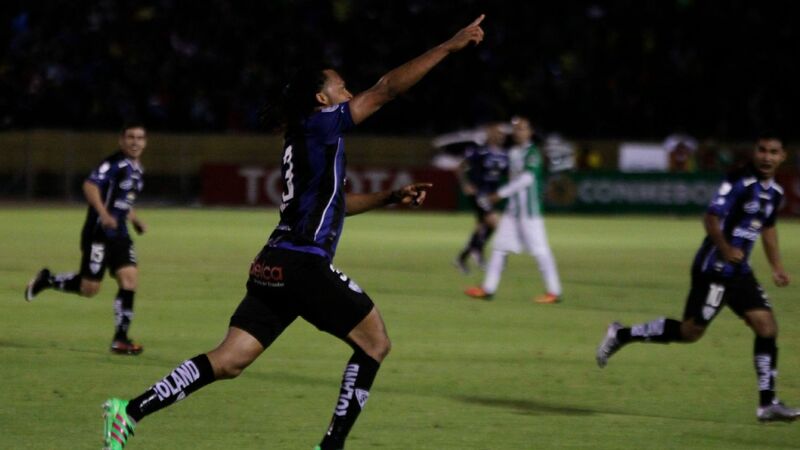 It brought Gremio the only goal of the game, and could have brought them a penalty as well. Renato's approach to the match will be fascinating. Will he seek to attack, sending his team out to impose themselves, but running the risk of leaving his defence exposed? Or will he shut up shop, defend deep and look to launch the occasional counter-attack? A possible problem here is the goalkeeper, Marcelo Grohe. A magnificent shot stopper who has been one of the heroes of the campaign, Grohe does not command his area when crosses come in, and with Kannemann absent and Sand a dangerous goal poacher, this approach could prove risky. Gremio might find it more convenient to defend with the ball, taking the heat out of the occasion with patient passing. The ingredients are on the table for an intriguing clash and a fine spectacle, potentially the best final of the Libertadores for some time. The end of last week's match, however, pointed to a more depressing path -- a disappointing game ended with little football and lots or arguing in the closing stages. It would be uplifting indeed if the second leg were to leave a sweeter taste.